The artichoke certainly has an interesting history: damned by a Greek god, used as an aphrodisiac by the Romans, and controlled by the Mafia in the Roaring 20's—and those are just a few of the stories. These things are just plain annoying. After all the trouble you go to, you get about as much actual “food” out of eating an artichoke as you would from licking 30 or 40 postage stamps. Have the shrimp cocktail instead. I think it’s safe to say that Miss Piggy is not a big fan of the artichoke. My theory is that she might be a tad bit jealous. Members of the jury, I present the following as Exhibit No. 1. Once upon a time the Greek god Zeus visited his brother Poseidon; during that visit, he saw a beautiful young maiden named Cynara on the island of Zinari. Employing every bit of charm and god-like good looks he could muster, he seduced the innocent lass. As a result of that encounter, he was totally smitten with her; he offered to turn her into a goddess if she would become his mistress. The silly girl accepted his proposal but she soon grew homesick and returned to the land of mortals for a brief visit. Our real story begins in Greece. In the 4th century, B.C. Aristotle had a pupil named Theophrastus (371-287 B.C.) who was a naturalist. 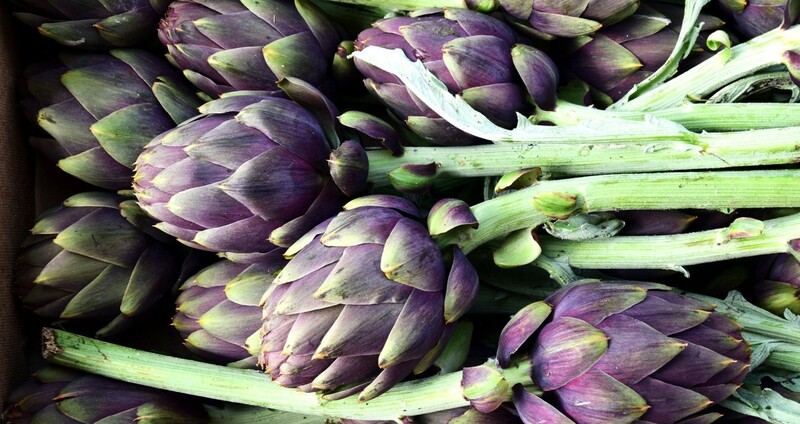 He wrote of artichokes, describing them in great detail, stating that they were cultivated in Italy and Sicily. And oh, how the artichoke was loved by them! 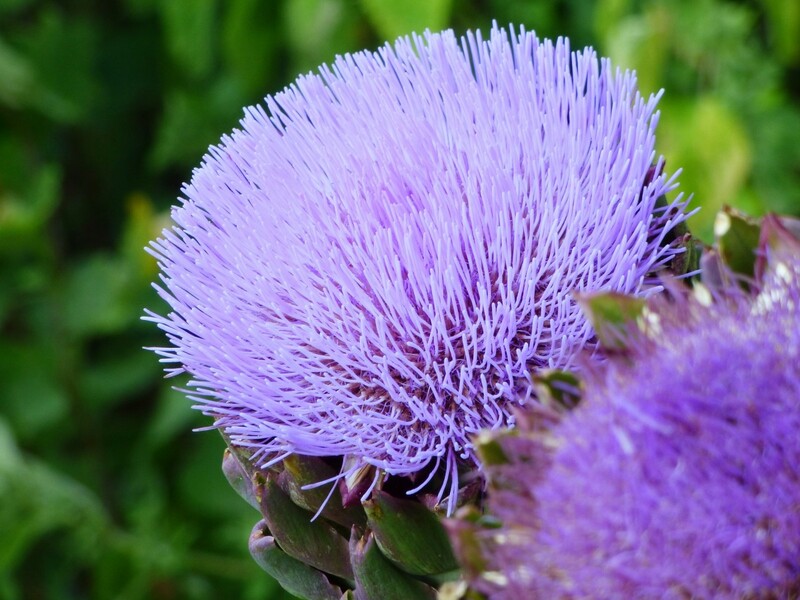 The artichoke was viewed as not only a delicacy (favored by the rich as an appetizer) but also as a curative for digestive ailments and jaundice. 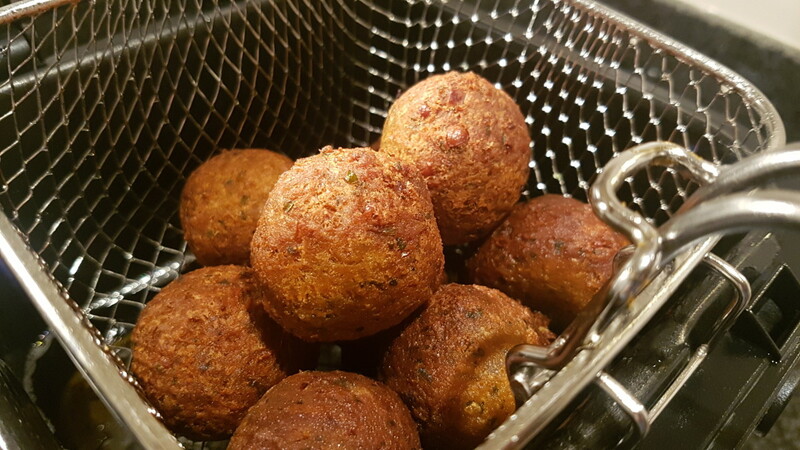 The Romans considered it an aphrodisiac and thought it would help ensure the conception of male heirs. 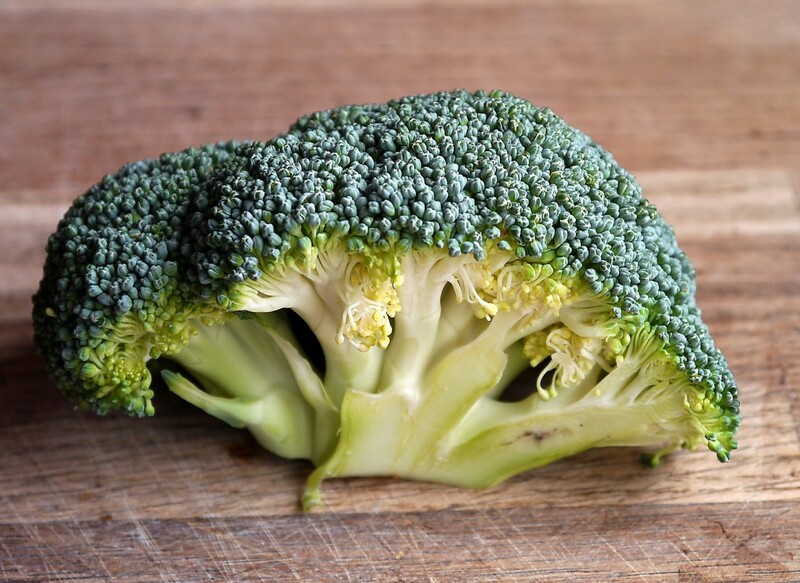 In 77 A.D. Pliny the Elder called the choke “one of the earth’s monstrosities.” But, that didn’t dissuade him from eating them. Nevertheless, the artichoke was about to begin a roller coaster ride of demand and disrespect. With the fall of the Roman Empire, the artichoke fell out of favor until the 16th century when the 14-year-old Catherine de Medici (of revered Italian descent) was married to Henry II of France. The prickly little Italian treasure became regal once more. Fast-forward two hundred years. At the tender age of 25, German writer and philosopher Johann Wolfgang Goethe was already a literary celebrity. His first major scientific work, the Metamorphosis of Plants, was published after he returned from a 1788 tour of Italy. In this treatise, he dismissed artichokes as "thistles eaten by Italian peasants." Throughout history, the Italians seem to have appreciated the artichoke more than any other nation and they took this fondness with them to America. This next part of our story begins in Italy, actually on the journey from Italy to Ellis Island. 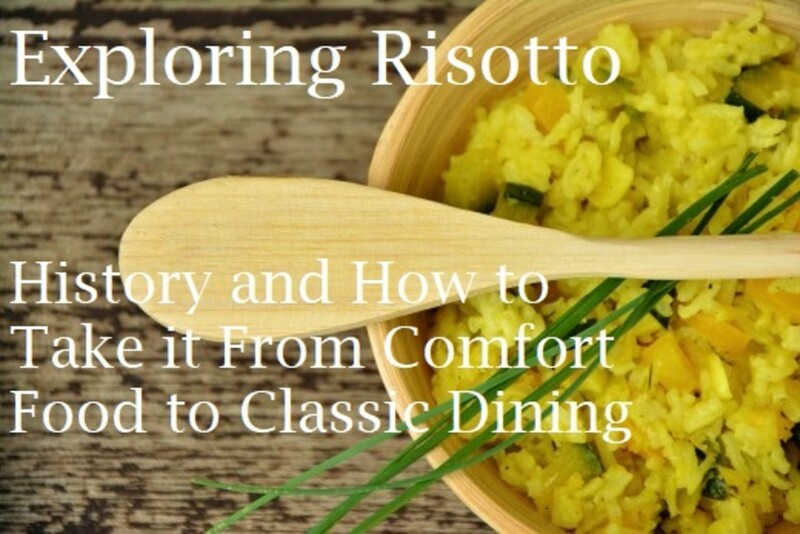 At the turn of the 20th century, Italian families began to immigrate to the United States. Many came to our shores to earn money and then repatriate. But a growing number were seeking political freedom. Between 1900 and 1915 more than 3 million Italians came to the United States. At the same time, there was a gentleman named Andrew Molera, a landowner in the Salinas Valley of Monterey County, California. For many years he had grown sugar beets, an easy-to-produce but low-grossing crop. 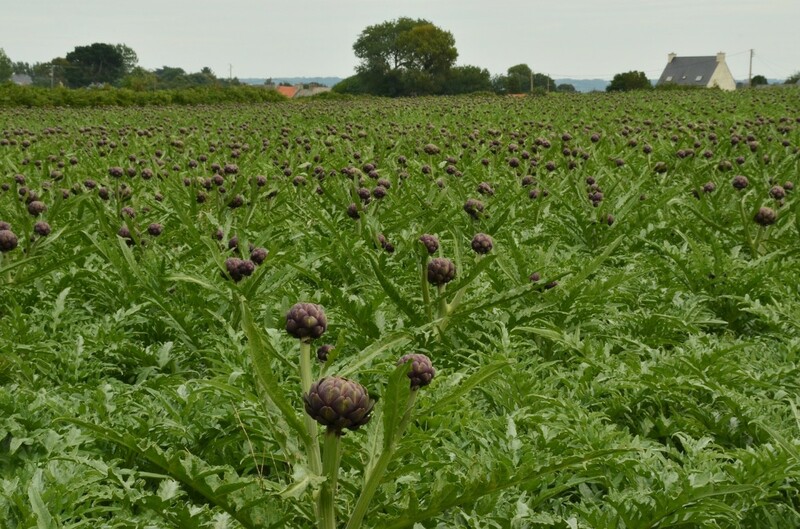 Mr. Molera became aware that increasing numbers of Italian families were driving the demand for globe artichokes, and with that, he made a savvy business decision—abandon the practice of farming sugar beets and lease his land for the cultivation of artichokes. With that single change, Molera tripled his income. But that’s not the end of the story. In fact, we’re just beginning. By the mid-1920’s the demand for artichokes was growing (no pun intended) with the large population of Italian-Americans in New York. 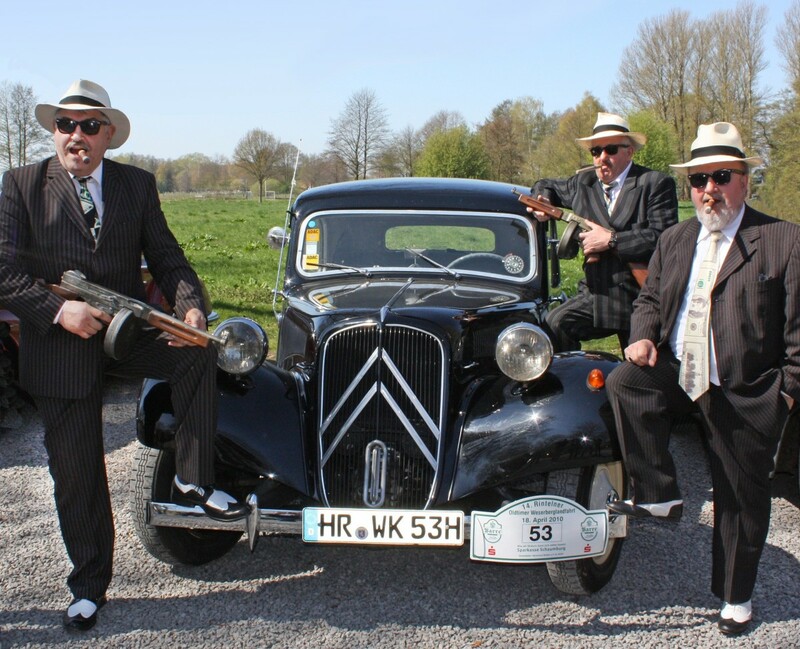 This fact did not escape the Mafia. Ciro (Whitey) Terranova, a fearless Sicilian-born underboss of the Morello family, purchased all of the chokes being shipped from California to New York, at a cost of $6.00 per case. Since Terranova now had the entire import, he was in complete control of the market. He created his own produce company and sold the chokes at a 40 percent profit. But wait, there’s more! Terranova employed henchmen to launch an attack on the California growing fields, hacking down the plants of competitors in the dead of night. This decreased the supply and drove up the demand even further. The “Artichoke Wars “ led Fiorello La Guardia, then mayor of New York City, to declare the “sale, display, and possession” of artichokes illegal. The choke is a member of the thistle family. 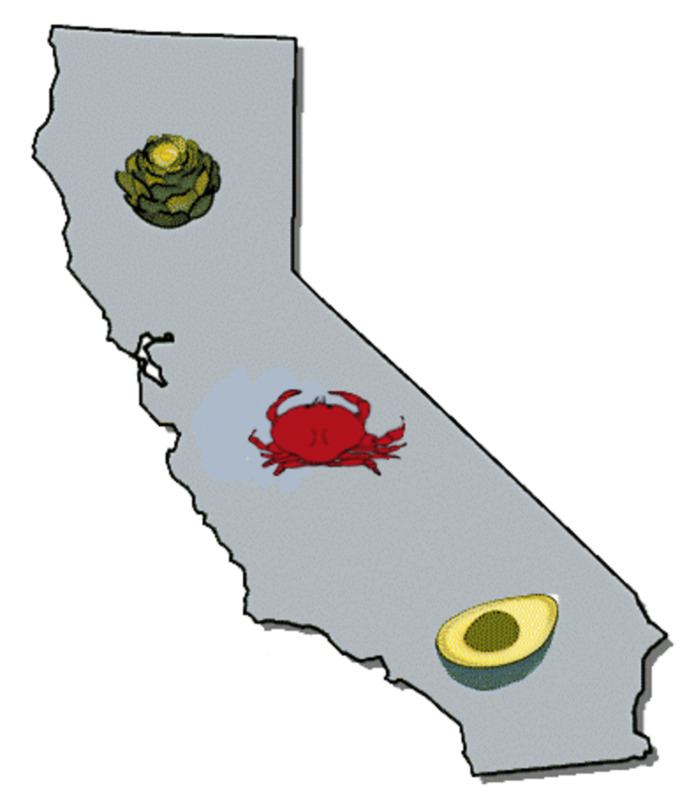 Almost all of the U.S. crop is still grown in MontereyCounty, California. 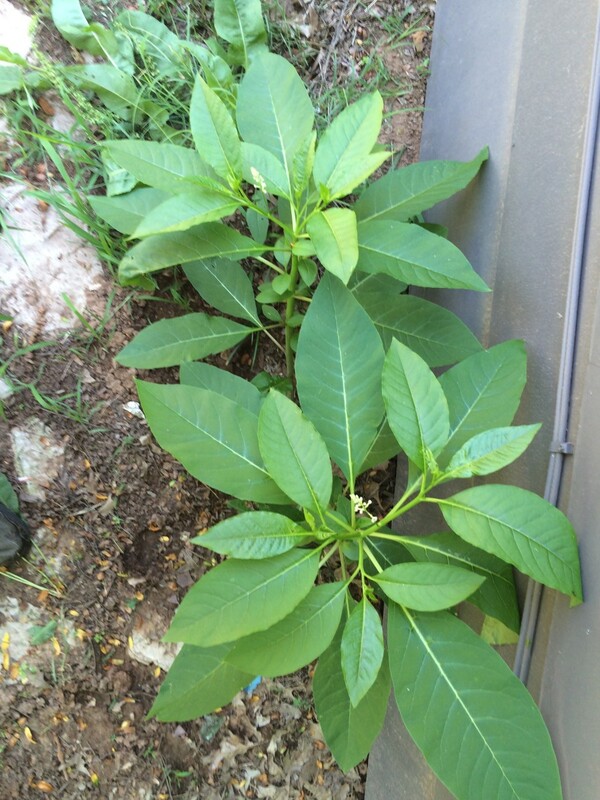 It takes about 6 months for the buds to be ready to eat. They can be harvested as many as 30 times in a season. In 1948 Marilyn Monroe was crowned queen of the Castroville Artichoke Festival. (Goddess beauty reigns). A woman is like an artichoke, you must work hard to get to her heart. Artichokes can be baked, grilled, or steamed, but my favorite method is boiling. Yes, I know that seems a bit intense. 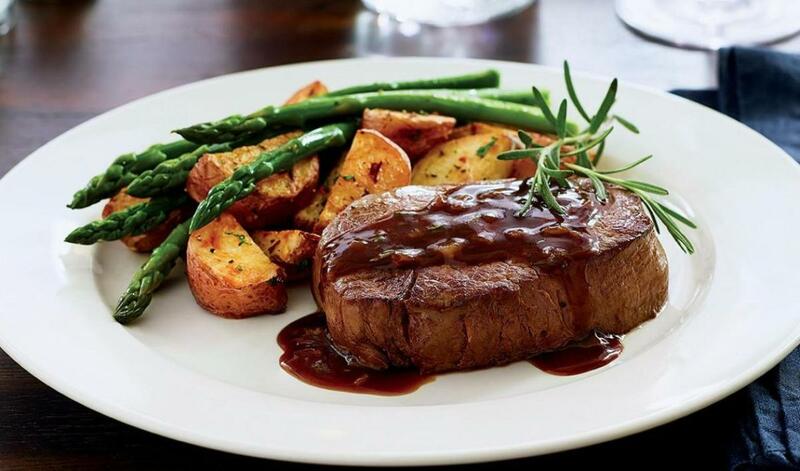 Haven't we talked about the advantages of baking (encourage that wonderful caramelization), grilling (subtle smokey goodness), or steaming (save the nutrients)? But honestly, artichokes are little divas—they aren't a simple peel-and-eat veggie. First chop off the ends - Remove almost all of the stem end (leave an inch). Then remove the first inch or so of the top (about 1/3 of the choke). Make sure your knife is sharp and keep your fingers safe. 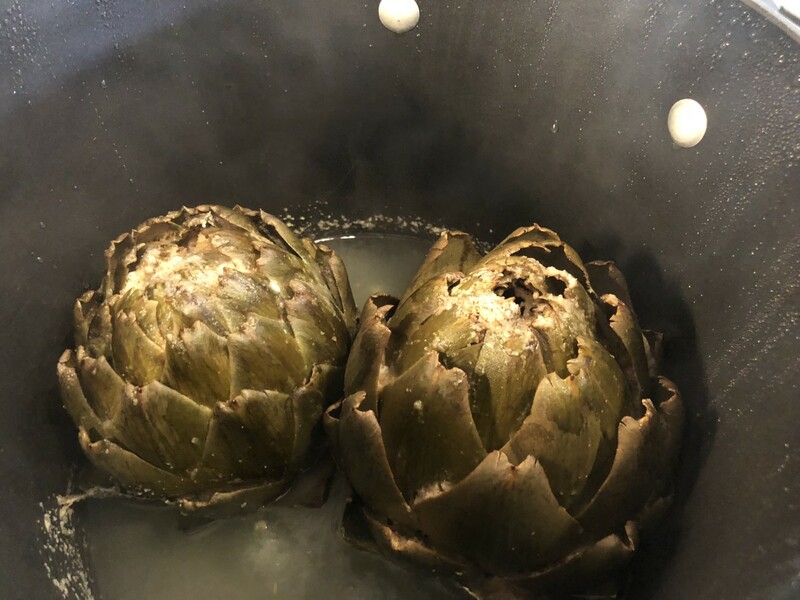 Bring a pot of water to a boil - Add the prepared artichokes, cover, reduce to a simmer, and let cook for about 30 minutes. The chokes are ready when you can easily pierce the stem with a sharp knife. If your chokes are small start checking after 20 minutes of simmering. When tender, remove from the pot and set aside until cool enough to handle. Final prep - Slice in half from the top to the stem. Use a small spoon to scoop out the white and purple centers (all the fuzzy stuff). Some of the recipes presented feature fresh artichokes you have prepared at home; others require canned or frozen choke hearts. Anna has created the blog CrunchyCreamySweet where she presents new and traditional recipes for flavorful breakfasts, hot and filling lunches, easy dinners for any day of the week, as well as sweet and decadent desserts for a perfect finish to your meal. 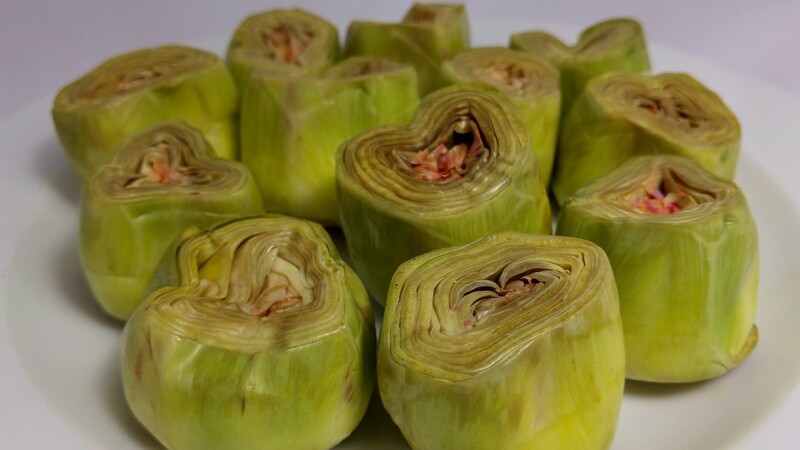 These baked artichoke hearts which use canned chokes are sooo good! 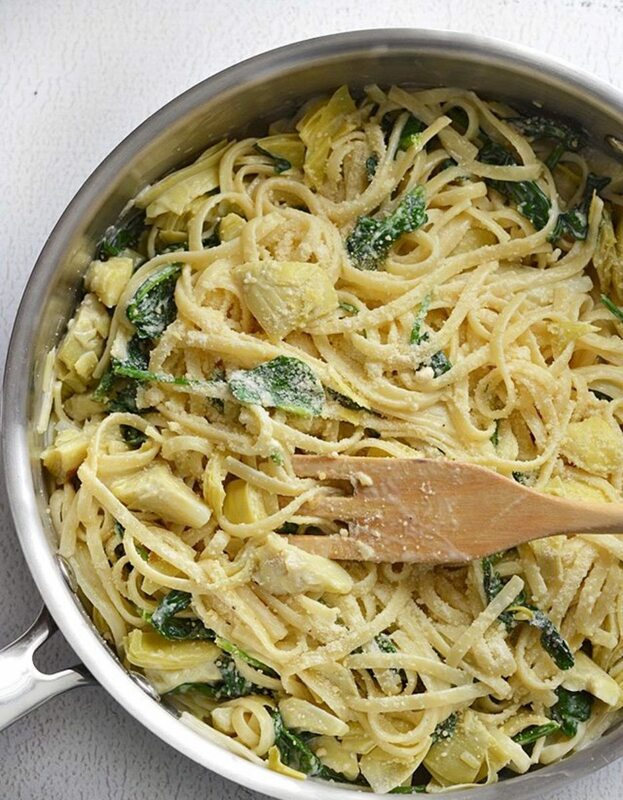 Williams Sonoma has updated the traditional chicken dish by substituting meaty artichoke hearts for the usual lemon juice and capers. 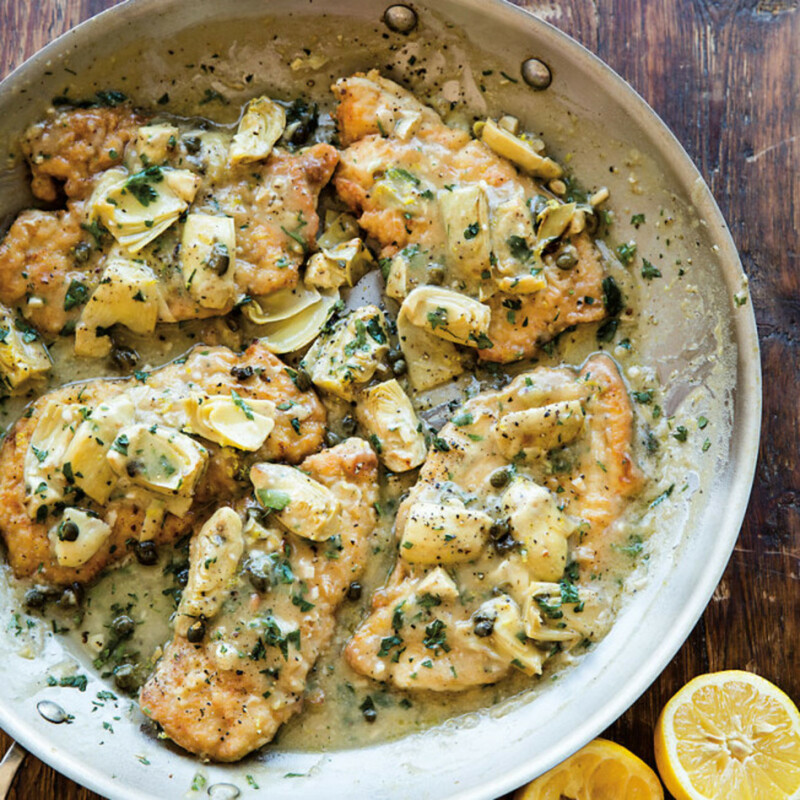 This version of chicken piccata with artichokes is rich and flavorful. I know some of you might not like chokes (or at least you think that you don't). 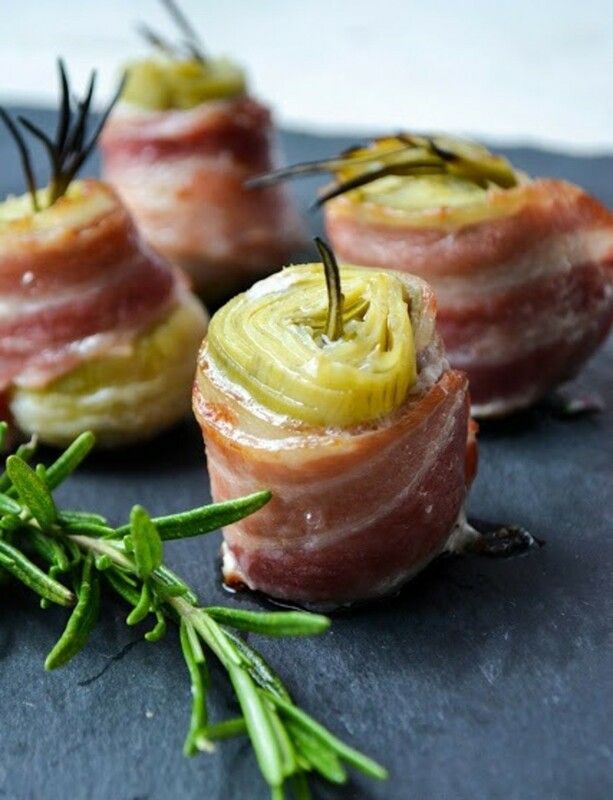 What if they're wrapped with bacon and flavored with rosemary? Doesn't bacon make everything better? Beth is the blogger behind BudgetBytes and creates a comforting meal of pasta in a creamy sauce in just 20 minutes. Her one-pan pasta method is genius. Beth uses chicken broth, but you could substitute vegetable broth to make this a vegetarian meal. 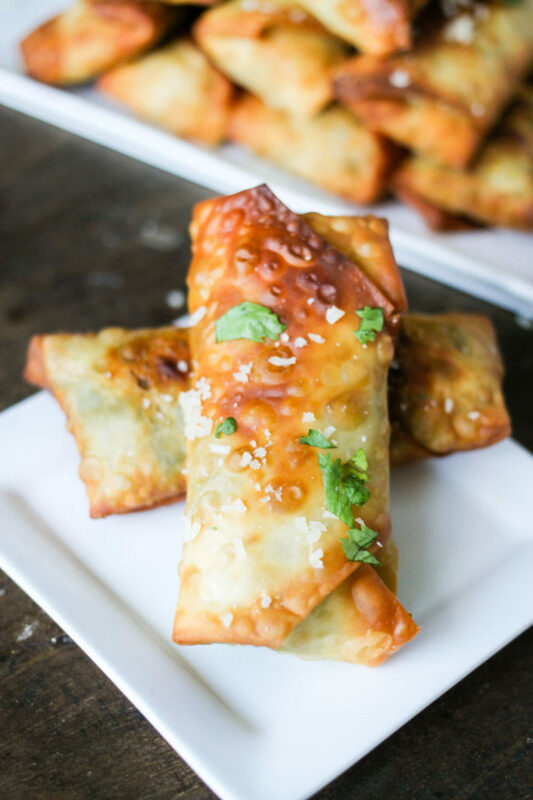 Allyson (of DomesticSuperHero.com) was really thinking outside of the box when she created these appetizer egg rolls filled with cream cheese, spinach, and artichoke hearts. I would never have thought of putting those flavors in an egg roll, but I'm glad that she did! Carol is a personal chef, former newspaper columnist, recipe developer, food photographer and obsessed cookbook collector. And each week she creates something new for us in her blog FromAChefsKitchen.com. 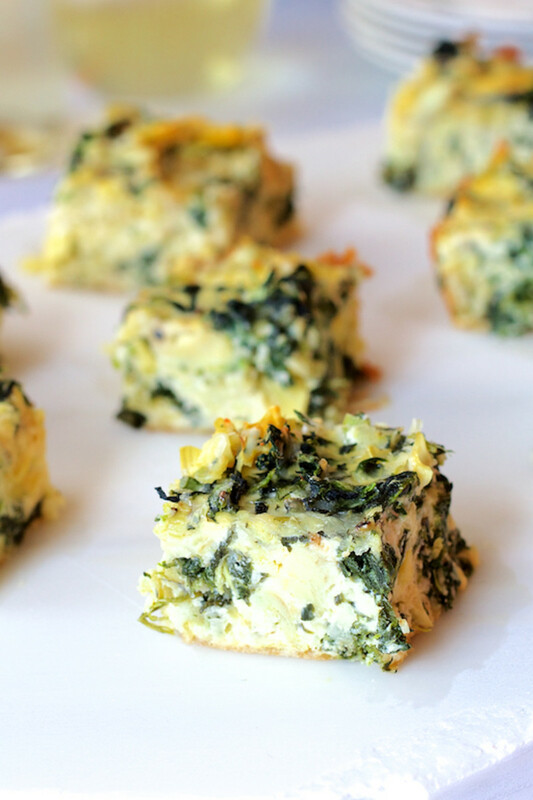 These artichoke heart squares taste just like the spinach dip all of us love. Seriously, does it get any better than this? Everything you could ever want on a pizza. 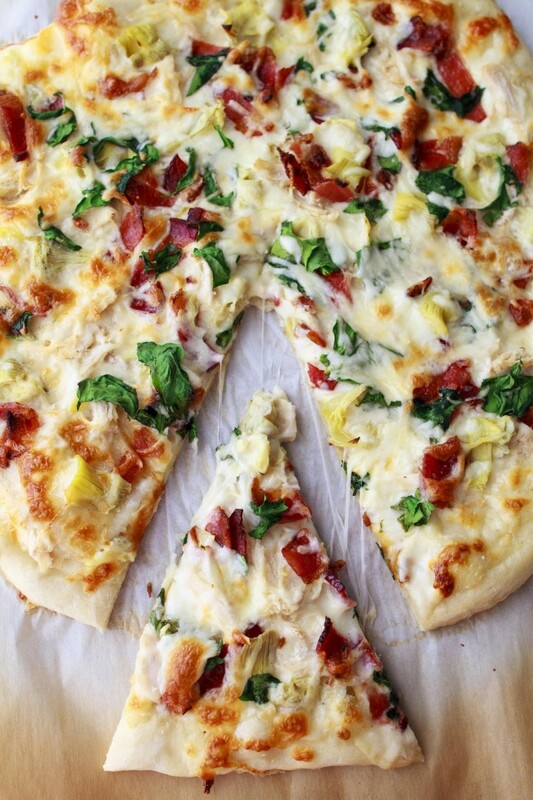 Creamy garlic sauce, chicken, cheese, spinach, BACON (...and we'll sneak in some artichoke hearts too). Amy is the smart cookie behind the blog MyNameIsSnickerdoodle.com and devised this yummy pizza. Karina calls herself a "self-confessed balanced foodie,sharing waistline friendly recipes that are full of flavor. Life is too short for bland and boring." 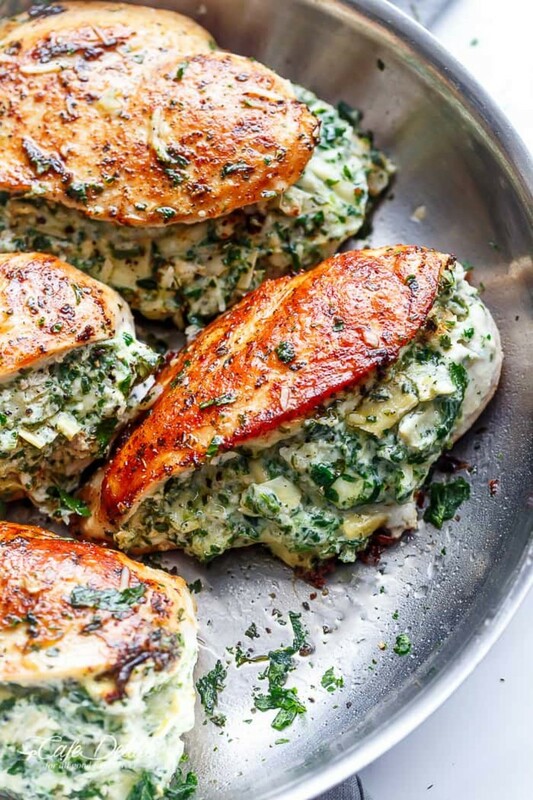 Well, her spinach artichoke stuffed chicken breasts are certainly a testament to that credo. Ah Shauna, thank you so much. I'm glad that you found this one; I had totally forgotten about it. 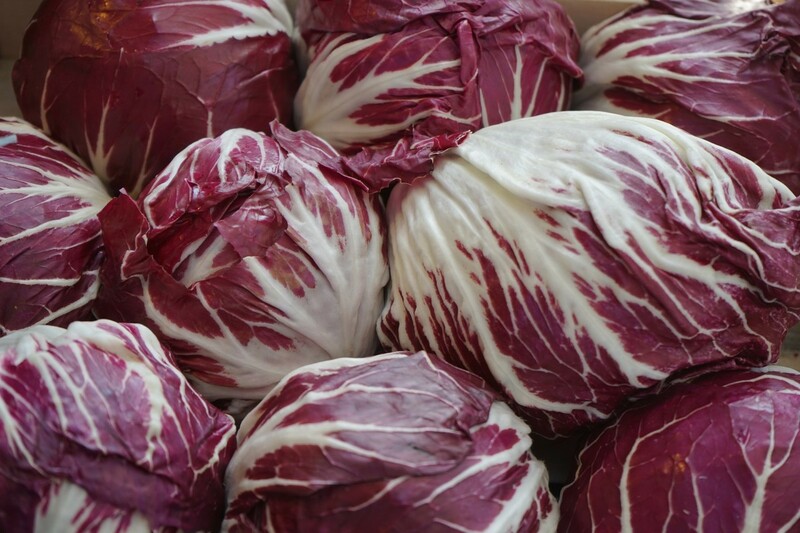 I'm doing my grocery shopping today, so will have artichokes on the list. OMG, these recipes all look amazing! That is, with the exception of the pizza. I prefer veggies only on my pizza or a bianca pizza. I'm definitely going to have to give several of these a try. Like you, Linda, I love boiled artichoke. It's yummy dipped in garlic butter. Bookmarking this page for sure! Good morning Mary. No, they really aren't difficult, but you must admit that appear a bit intimidating, don't they? If you go to YouTube and query on Lidia Bastianich artichokes you will find a great how-to on trimming and preparing them. Perhaps I'll insert that into my article. Lidia is the Italian grandma I never had. 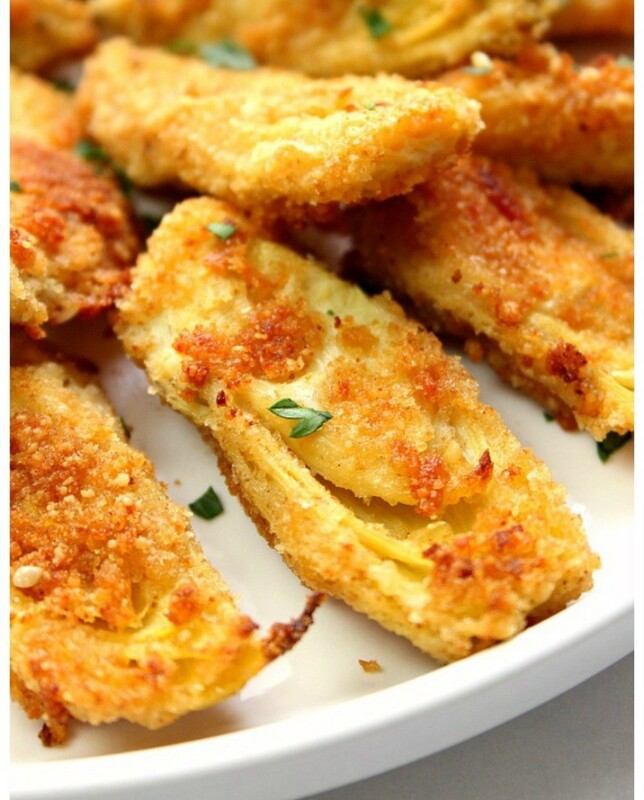 Such wonderful recipes on artichoke. They now don't present a challenge with your article. Thanks. Well Bill, I KNEW you wouldn't like them, and you didn't disappoint me. You have to admit that the history lesson was interesting however. Flourish, they're not slimy at all. I guess I would compare their firmness to a cooked mushroom. Notice most of the recipes combine them with cheese--in my book anything with cheese is a good thing, right? I’ve never tried artichokes, as I considered them slimy inside (just guessing), however these recipes make me want to give them a whirl. Your history lesson was stupendous. Hi Eric - I guess depending on where you live fresh artichokes can be a ho-hum or a luxury. But as far as I know they are always available in the frozen-veggie section at the grocery store. I hope I have inspired you to use them in some new ways. Pretty fancy recipes here. I can normally get them at a 99 only store for 99 cents. Lucky me that my wife does not care for them and my little one thinks they are weird. So I can each as much as I want. I was raised eating them just as they come after boiling. I even like messing with the little prickers. Warning on the purple stuff. My grandpa told me that mayonnaise was made specifically for the Chokes. Weird enough to be true.